Cholesterol is the type of fats found in blood. An elevated cholesterol level in blood increases the risk for heart diseases. Cholesterol is transported in the blood through the proteins called lipoproteins. The main lipoproteins are Low density lipoprotein ( LDL) and high density lipoprotein (HDL). LDL is responsible for carrying cholesterol to the blood. A blood cholesterol level below 200 mg/dl and LDL cholesterol up to 100mg/dl is considered desirable. HDL levels should be kept higher in order to prevent heart diseases. The normal reading of HDL is 60 mg/dl or higher. A HDL level less than 40 mg/dl is a risk factor for heart disease. Hypertension is the major risk factor for heart diseases, stroke and heart failure. It contributes to disease development by causing injury to the blood vessels. Hypertension is defined as a blood pressure above 140/90 mmHg. Hypertension is frequently present with other risk factors including high cholesterol levels and obesity. Nicotine found in cigarettes are responsible for initiation and progression of plaque formation in blood vessels and increases the risk of heart diseases. Clinical studies reveal that smoking is also responsible for the decrease in HDL cholesterol up to 6-8mg/dL. Diabetes like hypertension is a disease as well as a risk factor of heart diseases. 80% of patients suffering from diabetes are likely to develop atherosclerosis and heart diseases. Heart diseases in patients with diabetes is attributed to other risk factors such as hypertension, obesity and high cholesterol levels. Clinical trial and experimental studies have shown that numerous dietary factors affects blood lipids levels, atherosclerosis and heart diseases . People who consume more saturated fatty acids are at higher risk of developing heart disease. A proper diet is essential for the prevention of heart diseases and treatment of risk factors responsible for heart disease. Avoid high fat content of mutton and beef. Use lean cut parts and remove extra fat. High fat fish is rich in omega 3 and omega 6 and is good for heart. Consume low fat dairy products. Avoid margarine as it is rich in trans fatty acids. Soluble fibre found in fruits. vegetables , legumes and isapghol tend to lower the blood cholesterol levels and LDL. Whole grain cereals and legumes are strongly related to decrease risk of heart diseases. The recommended allowance for fibre is 30 grams of which approximately 6-10 grams should be from soluble fibre. This level is easy to attain if one consume 5 or more servings of fruits and vegetables and 6-8 servings of whole grains. Nuts are rich in unsaturated fatty acids and bio active compounds. Studies reveal that a small handful of nuts each day reduces the risk of developing heart diseases by lowering cholesterol and LDL levels in blood. 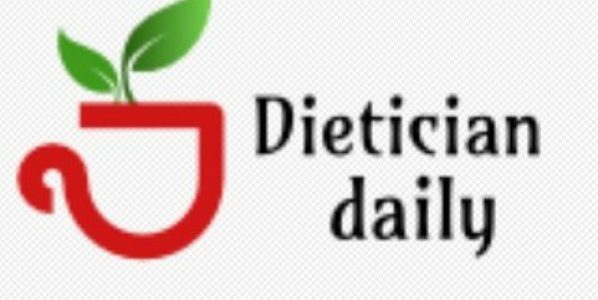 DASH diet composed of fruits and vegetables, low fat dairy, chicken ,fish and low in salt tend to lower blood pressure and thus prevent heart diseases. Replace refined grains and consume more whole grains. Reduce salt in your diet.